Regular visitors will have noticed a few improvements over the last month or two. Firstly, after a Friends Group request last year, the Council have manged to fix the almost constant water leak running across the path as you exit the M4 underpass. They found a series of previously unmapped underground surface water drains of which one had a leak. Also most of the litter bins in the Park have been replaced with ones incorporating heavier lids to stop the squirrels removing the rubbish. 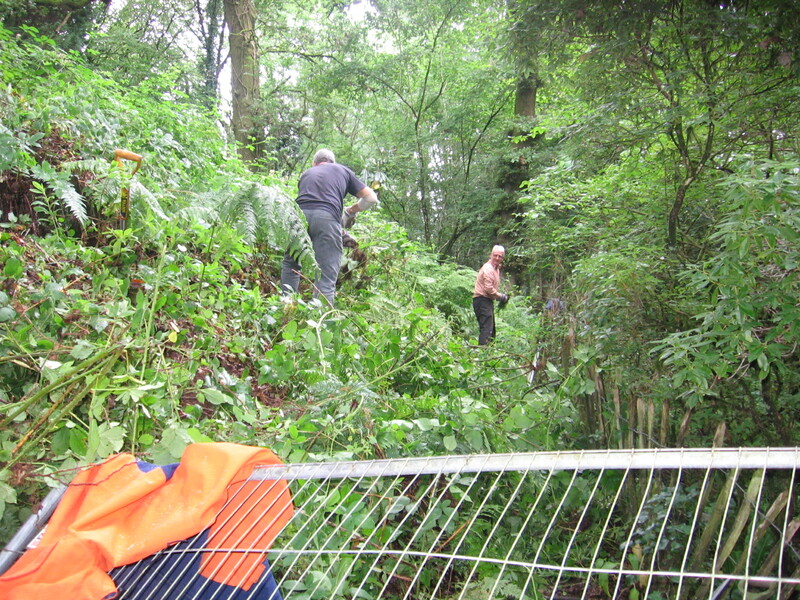 And finally the during the Friends Workday on 17th July, we commenced work with the Council with the aim of re-opening the top-loop path that has been closed due to ground subsidence for over two years. 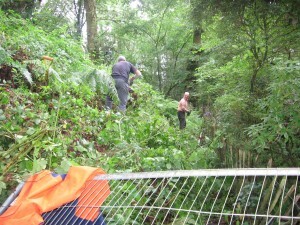 There is still construction work to do before the ugly temporary fencing can be taken away – hopefully in September. Thanks ‘workers’ (photo)!